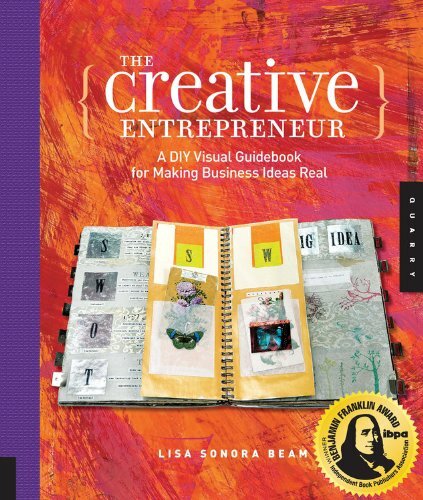 The Creative Entrepreneur was voted Winner, in two categories–Craft and Business, of the 2009 IBPA (Independent Book Publishers Association) Benjamin Franklin Award which recognizes excellence in publishing. This book is for the large audience of artists, crafters, and creative individuals from all walks of life who desire to make a livelihood from their creative work, or who possibly have achieved some success, but don’t know how to replicate it or move to another level of accomplishment. It’s a visual, project-oriented, step-by-step approach to business development for anyone who is mystified and possibly frustrated by how to make a business out of their creative work.